Mix the grated cheeses with the arrowroot and set aside. Rub the inside of the fondue pot with the garlic, then discard it. Put the wine into the pot, then bring it to a gentle simmer over medium heat. 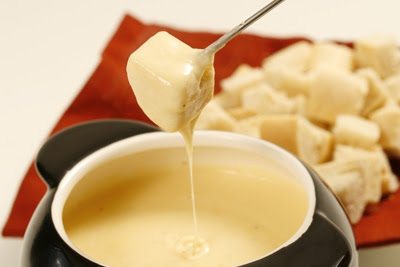 Gradually stir in the cheese, about a half cup at a time, until it is all completely melted. 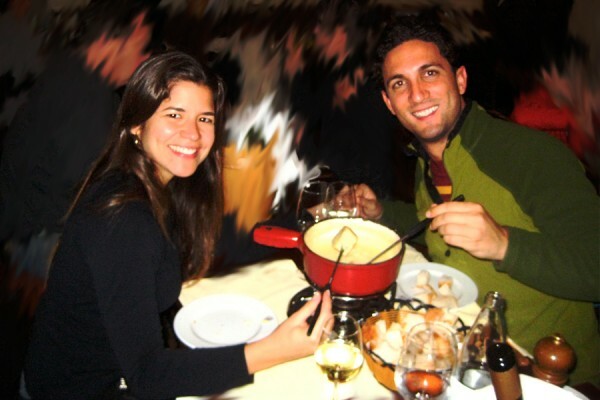 Once the fondue is smooth, stir in the kirsch and nutmeg. Serve your fondue with a platter of vegetables as well as bread cubes (like in this example from thevillagecook.com) Along with carrots, celery, cucumber chunks and broccoli, you could also serve cauliflower, mushrooms and cherry tomatoes. Just about any firm vegetable will work. 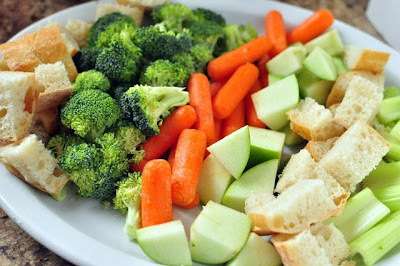 You could also add some pieces of fruit to your platter as they've done in this example from babydickey.com, and then you've got dessert covered as well. 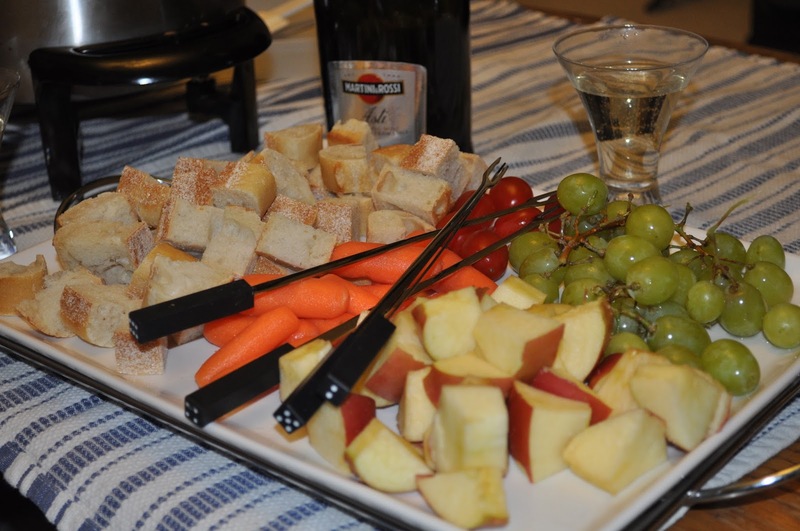 Entertaining doesn't get much easier than this! As the title says, this recipe falls into the "Indulgence" category, but if you use the bread recipe I've given you, sharing this a few times a year with friends - or a particular friend - won't take your eating plan too far off track.